Worksheets for anxiety can be found all across the web, we’ve curated a few that cover the major elements of anxiety so you can optimize these for each of your clients. Progress measurement can help both your clients and your own practice as you help to document a client journey and further improve their results. Worksheets that capture progress can provide a window into the routines and track each client’s emotional behaviours. This is a bit of an odd worksheet since it only comes in digital form through a free, secure mobile app for clients. Distress Level Tracking is one of the many Therachat activities that allows clients to score their distress on a scale from 0 to 10. A client can decide to share that data with their therapist so they can follow-up between sessions and visualize progress from session to session. Capturing your sleep pattern and distress can help to carve a picture of anxiety during a client’s sleeping hours. Sleep is a very important thing for those suffering from anxiety and making clients track the distress associated with a sleep session can help their recovery and progress. Breathing comes highly recommended by many therapists as a way to slow down and pause. Relaxed breathing can help to calm and reduce anxiety and is a very accessible practice as the client goes across their day. Tracking the status of your anxiety before, during and after sessions will help clients to understand the benefit and capture the effects of relaxed breathing on their anxiety. Making clear, attainable goals is a great way for your client to understand how successful they’ve been with their progress to date. As you finish treatment, clients want to feel like they have a next milestone to reach. A worksheet to set a clear goal for the first month after treatment ends is a strong approach what’s next for the client. With your client’s busy schedule and manic routines, after treatment, there’s a chance your client will move on without stepping back and patting themselves on the back for all of their hard work and effort during the treatment. This worksheet is designed to allow clients to admire and reflect on all the things they’ve achieved during the process. The mental health of your client whilst they suffer from anxiety across their day will be one of the touchpoints you should go about monitoring. Cognitive activities can give a client a sense of control when they are trying to adopt a new habit, process or reframe a situation. Restructuring your state of cognitive framework can be one of the best activities for making sure you and your client can formulate the outcome they desire from their thoughts. Bombarded with our brain’s automatic reaction to stimuli cognitive restructuring provides a way for your client to reshape their process in which they think emotionally. Reactions are a reflection of our attitude towards life. Understanding how your client approaches emotional situations will help to bring together coping mechanisms to help, but for the client it will provide a reflection to their day to day scenarios and help refine their cognitive decisions when introduced to stimuli during the stressful times. Anxiety intense situations can sometimes provide your clients with the most painful emotions. In a safe environment, the practice of visualising these can help your client to process the best way to approach the situation. Rehearsing these situations provide a practical methodology for the client to adopt into everyday practice where anxiety could arise. 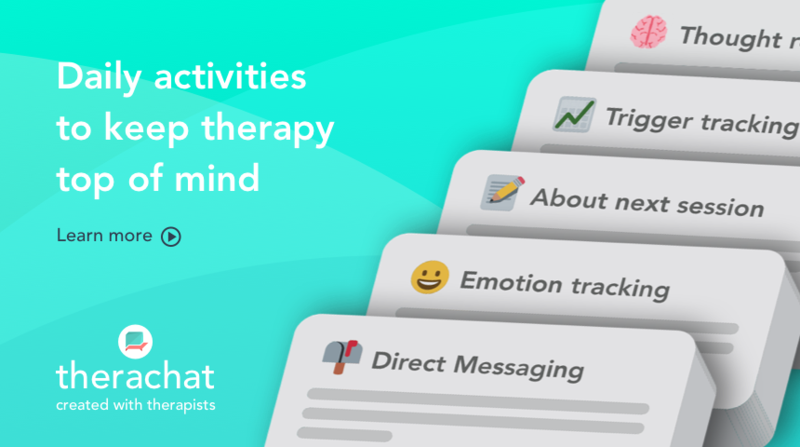 Tracking your emotions and recording them can be a useful way to manage your anxiety, during and post-treatment. Thought recording has been around in elements for many decades now, with journals and diaries clients have been able to track their thought process and emotions. A mood tracking chart can help to document emotions and take your clients process of thoughts to the next level. The daily mood tracking allows clients to keep a log of all the most important moods that are worth noting down. From here, you and the client can sit down and process exactly what each of the moods meant and how they were caused. Commonly used like a journal, the thought record can help capture what makes a client tick and react in day to day situations. For therapists, this documentation helps provide the best outline of the thoughts and processes that each of the clients go through day to day. Self-esteem plays a large role in anxiety. The confidence of your clients will be something you’ll need to be aware of as you go through treatment and giving each client activities to help embrace their self-esteem. Tracking your worries is tracking your hidden anxieties. Across our days, we tend to get a few worries that creep into our thought process, documenting these worries can help to be aware of them before they spring up and allow us to conquer any concerns we have with them. For clients, reviewing progress is very important. But outside of the anxiety and one to one sessions, making sure you look forward and back at what has happened in your life is valuable too. Reframing a cognitive emotion is something very powerful for clients that have huge anxiety concerns and traumas from the past. This specific worksheet focused on “catastrophizing” which is a common type of cognitive distortion and helps to address problems with high intensity outcomes. Positive energy and mental strength can be a valuable activity to engage in when combatting anxiety. This worksheet focuses on ten common cognitive distortions and how to develop thinking styles to be aware of thinking errors and these distortions. Working closely with your client on anxious thoughts and how to challenge them can be a great exercise to adopt as a routine in your meetings with clients. Anxious thoughts tracked from other methods, like the Worry Thought Record and other recording worksheets can help assist this exercise and provide a functional way to combat anxious emotions. Understanding how your body will react to the symptoms of anxiety will help for you and your client to judge whether they are suffering from anxiety versus any other conditions. For therapists, asking your client to log all of this information will help to document what actually goes on within the body. All of these worksheets have been highly recommended to help your clients to take control of their anxiety. Either used in their spare time, during sessions or for homework compliance they are a nice addition to sessions if you’re aiming to tease out their emotions and processing. Clients don’t like to carry worksheets with them at all times, which is why often they forget them. And if they don’t forget them they might forget to bring them back into the session so you can review them. Luckily technology can help you with this. With tools like Therachat you can send your existing worksheets and activities digitally to your clients and remind them during sessions. Whenever your clients complete worksheets you will be notified and can check the results realtime.